LAUREL, Del. 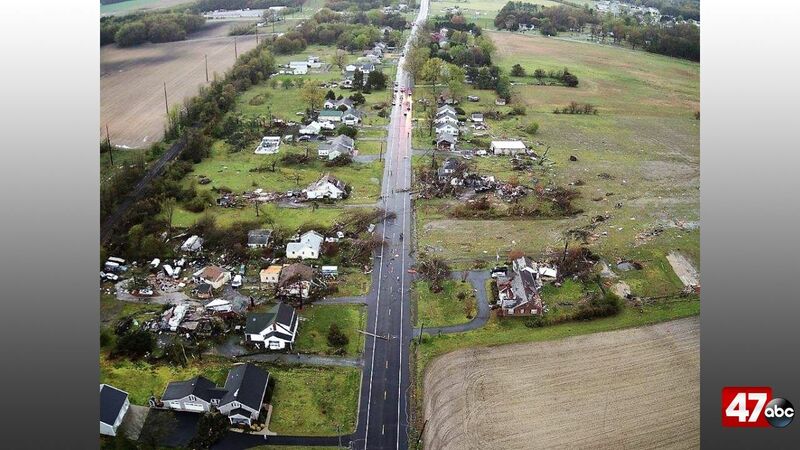 – The National Weather Service in Mount Holly confirmed Monday afternoon that an EF-2 tornado touched down in Laurel Delaware early Monday morning. According to the report, the tornado began in the area of Woodland Ferry Road in Laurel at approximately 3:38 a.m., and traveled northeast to Pepper Road in Seaford. As a result, a barn was destroyed and several other homes and barns were severely damaged. No fatalities were reported, however one person suffered minor injuries. The report also says that the maximum wind speed was estimated at 120 mph.